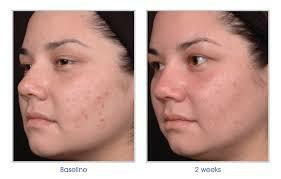 Obagi Medical is offered at Elite Medical Specialty Clinic Rocklin. Our goal is to offerreliable skin care products and Obagi medical is one of the superior medical skin care product lines. With Obagi-C Rx, you’re on your way to healthier, refreshed, revitalized skin from cell to surface. The Obagi-C Rx System offers the benefits of both prescription-strength 4% hydroquinone and potent Vitamin C to correct signs of skin damage and help restore and maintain younger-looking skin. The Nu-Derm System is an anti-aging therapy that penetrates below the skin’s surface to transform skin cell functions at the cellular level and correct the damage within… revealing healthy, younger-looking skin. Your individual prescribed protocol and frequency of use should be determined by your skin care professional, but you can typically expect visible improvements in 4 to 6 weeks. You will likely experience 4 phases of transformation. The Obagi Nu-Derm System provides you with benefits you can see and feel. 2x greater improvement in all measurements of fine lines and wrinkles vs stand-alone treatments. Clinically significant improvement was seen in facial fine wrinkles, fine wrinkles around the mouth, lips, and eyes, as well as laxity. 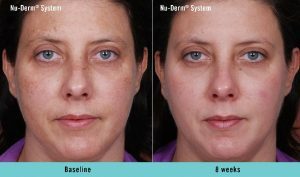 As you begin using the Nu-Derm System, your skin will undergo 4 phases of transformation. • Promotes cellular turnover and maximizes the results of your procedure by penetrating the layers of your skin. • Smoother, softer, clearer skin is created. • Your skin cells are in the process of transformation. • You can enjoy a complexion that’s smoother, clearer, and firmer, but remember that maintenance is crucial to long-term success! If you experience excessive itching, dryness, or redness, discontinue use of the system and contact your physician. 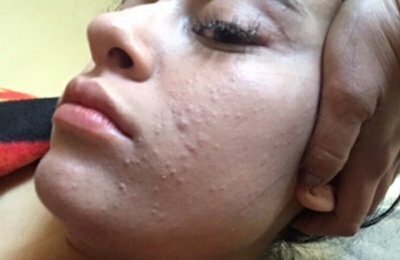 What is the difference between the Nu-Derm System and products purchased from department stores, drug stores, infomercials, etc.? How often should I visit my physician when using the Nu-Derm System? Your physician will talk with you about how often you should check in once you’ve started using the Nu-Derm System. To find out more about Obagi Skincare products, request a consultation with Dr Ray.